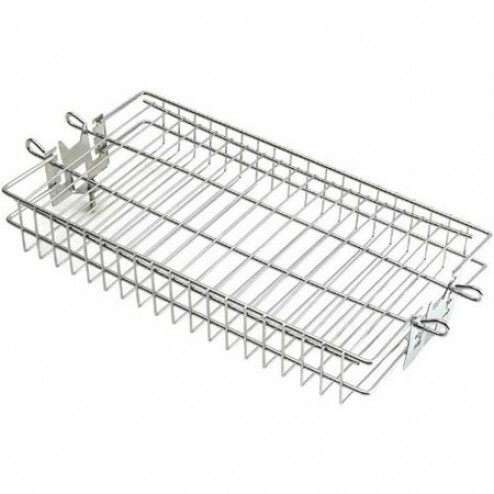 The FireMagic 3618 Flat Rotisserie Basket by FireMagic ships factory direct to your door. Fire Magic Stainless Steel Flat Rotisserie Basket 3618. 3618. Grill Rotisseries. The Fire Magic Flat Spit Basket is great for roasting shish-kabobs, vegetables, and fish. Basket measures (in inches) 7 W x 14 L. Height is adjustable from 2 to 3 inches. Made to fit a 5/8 inch spit.